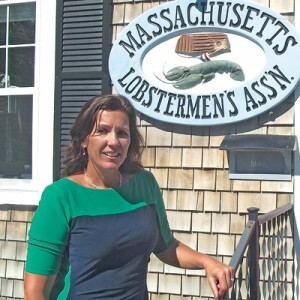 SCITUATE, MA – She’s quick with a smile when she greets you, but Beth Casoni is one tough cookie when she needs to be – which she often does in her role as executive director of the Massachusetts Lobstermen’s Association. Beth set aside a few minutes in her busy schedule recently for a conversation at the MassLA office to discuss her rise in the ranks and some of the challenges of her position. Beth, tell us a little bit about your roots. 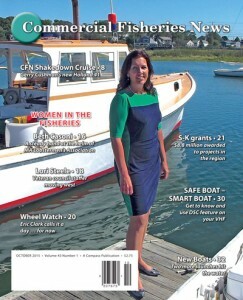 I grew up in Marshfield, MA in a fishing family. As a kid, I used to go lobstering with my Uncle Dave summers whenever I could. That would be Dave Casoni, who I know from the MassLA annual weekends? I remember listening to my uncle talk about the plight of the fishermen as a young child. 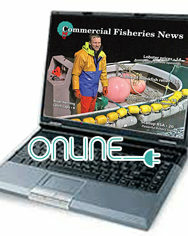 As the management became more and more restrictive and the fishermen had to fish within those restrictions, I became very interested with the whole process. Your involvement with Mass Lobstermen’s came later in life, correct? Yes. I actually went to college in my late 20s/early 30s – I was a single parent and basically put myself through school – and graduated from UMass Boston.